Diamond tension rings are the latest trend for those looking for unique engagement rings. People just simply adore them the minute they see one as they are elegant and beautiful to look. Almost every girl immediately says yes the moment her eyes fall on one. 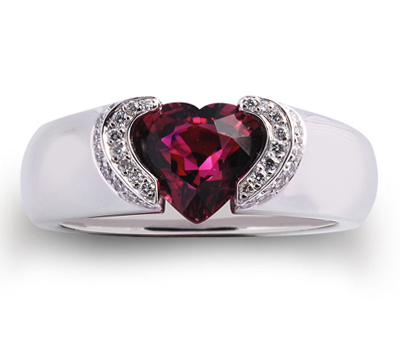 You ought to take a look at them if you are planning to buy the latest and most unique perfect ring for your loved one. If you select a tension ring as the style of ring, you might think you have narrowed your options, but the fact is tension rings, come in a great variety of styles. And, at Novori Jewelry you can always customize your ring because they are custom made. You design your own ring at Novori. But then again you need to keep in mind the weight of the diamond and how the ring will look. Tension rings have the diamond suspended and clamped between the two sides. Thus the more it weighs, the more expensive it is and the quality of rings is important. Not to worry, our expert sales team can assist you every step of the way. So you ought to strike up the balance somehow while customizing between what the ring originally looks like and how many changes you make to it. 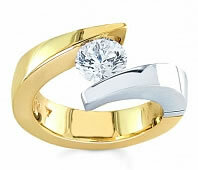 White gold is the most popular and elegant material used for manufacturing rings today. However, you can mix it up with the traditional yellow gold too. Just see to that the diamond’s quality is based upon the 4 C’s and certified by the respective boards such as GIA. Let Novori assist you with these details for a ring you will cherish forever.